CriteriaCaixa uses our own and third-party cookies to analyse browsing habits in order to create data, personalise browsing experience (e.g. language) and advertising. Click for more information or to set up or reject their use. Or, you can accept all cookies by clicking on "Accept and continue browsing". 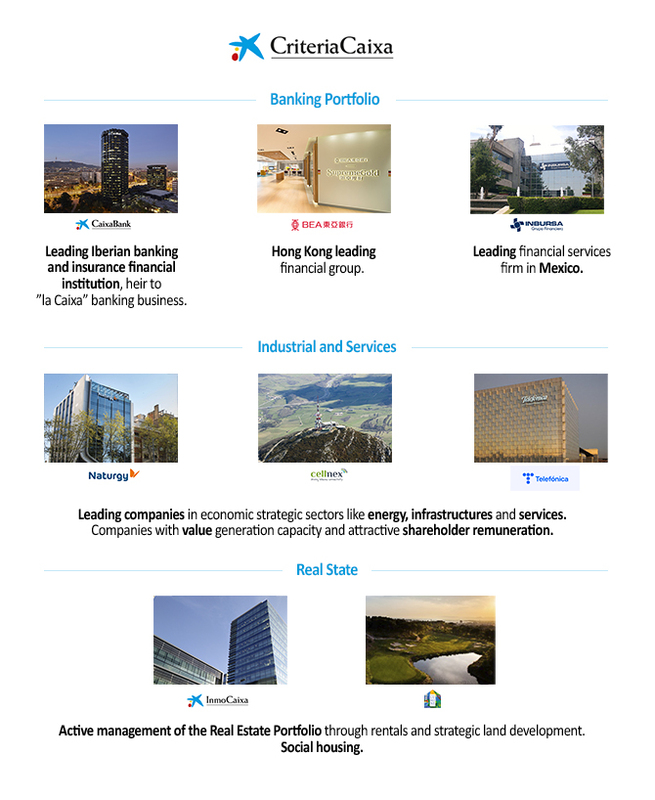 CriteriaCaixa is the unlisted investment holding company which manages the wealth of the ”la Caixa” Banking Foundation. With a portfolio formed of shareholdings in strategic sectors, such as banking, energy, infrastructure, services and real estate. The ”la Caixa” Banking Foundation directly manages the Welfare Projects financed with dividends obtained from CriteriaCaixa. CriteriaCaixa is fed simultaneously by the dividends received from its investees and the active management of its portfolio of companies and other assets. Do you need to print this? Protect the environment.